Metal prints have become range in the photography market in recent times. They are in fact a great enhancement with respect to making your regular photograph look very beautiful, vibrant and luminescent. Photographs as well as your arts can be printed on metal to not only enhance its beauty but also for preserving your valuable photos and arts for a long time. A metal print of your favourite photograph can be easily created by visiting a laboratory that undertakes metal printing process. This process typically converts your digital photographs into metal prints by infusing the photograph on the metal (aluminium). When speaking about infusing the photograph, it does not imply that the images are printed on the actual metal surface. Instead special chromatic dyes are used in the process. These dyes are infused directly into the polymer coating/aluminium photo sheets using pressure and heat to create Metal Prints. The final photograph with metal print makes it more vibrant and glowing in comparison to your normal photograph. Metal prints can be kept or hanged in any part of the house but should not be exposed to direct sunlight. In case you need to creatively hang it in the garden, you can do so. However keep in mind to not expose your metal prints to the direct rays of the sun. There are many benefits of using metal prints for your photographs and arts. The colors that are used in the process of metal printing are extremely lively and bright. They bring out a certain depth, luminosity and color quality that your regular paper photograph would not achieve. Since your picture is infused onto the special dyes/coating, the final prints give an archive value. The durability of metal prints is considerably greater than your regular photographs and hence there is no need for a frame or glass to protect it. These photographs can hence be kept in your safe custody for a long time or passed on to the next generation with ease. Metal prints are water proof i.e. they can withstand exposure to water. Hence Metal Prints can be conveniently hanged on your kitchen, bathroom walls or any other walls that you feel are exposed to moisture. This is a great advantage when compared to paper photographs, as they tend to damage when exposed to water or moisture. The clarity of metal prints is more than your paper prints. Your normal photographs are generally framed and a have glass to protect your paper photograph. Due to the presence of glass, viewing the photograph from very close becomes difficult. Also sometimes the glare of glass hinders the visibility of the photograph. This is not the case with metal prints. On the contrary, metal print photographs are so bright and vibrant, that you can comfortably view it from any distance. Besides being water proof, metal prints are scratch-resistant and rigid. Due to their rigidity they can be comfortably hanged using any of the hanging methods. It is also comparatively economical when compared to print photographs. Your favourite paper photo with a protective glass costs almost twice the price of your metal frame. With so many benefits to it, it is no wonder why metal prints are the first pick for many. 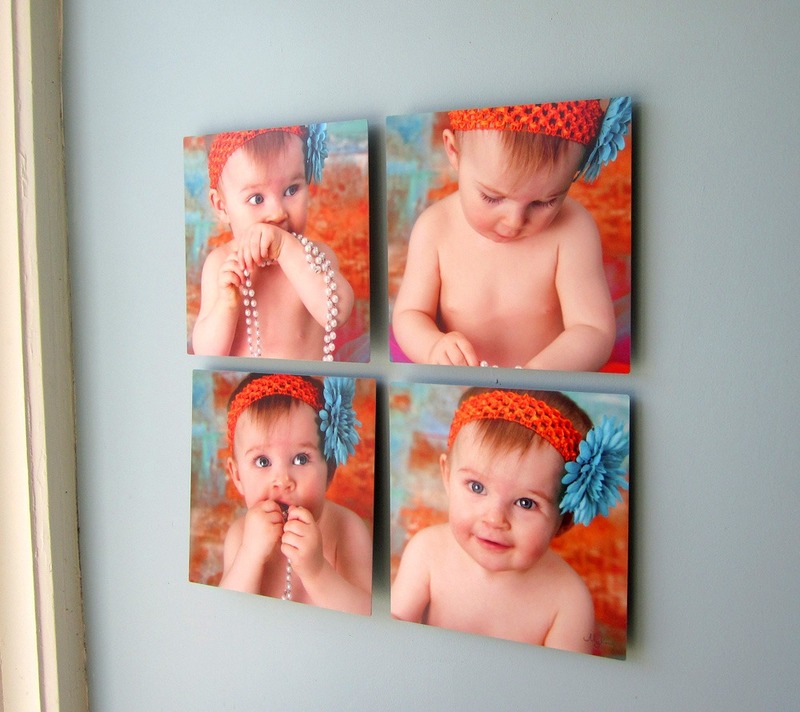 Metal photo prints are not only impressive and long-lasting, but also are here to stay for long.